I have struggled to find my words for this post. I imagine using a typewriter, hearing the paper rip from the roll then crinkled up and tossed into the basket. A pile of balled up papers scattered around the floor. Instead I press the delete button until the page goes blank and start again. Over the last month our experiences have gone from tap dancing on clouds to the losing wrestler – flat on the mat anxiously watching the opponent climb the top rope to make one final jump. There are so many feelings and thoughts bouncing around that they spill out all at once and collide in a jumble. I want to tell you about the trash, our anger over starving animals, the two sides to expats, the beautiful cultures, the landscapes, the people who have opened their hearts to us, the tourist vs the traveler, classism, racism, the roads, the towns, the food – the good, the bad and the interesting. I want to shrink you all down and put you in my pocket so that my words on this page will do these things justice. 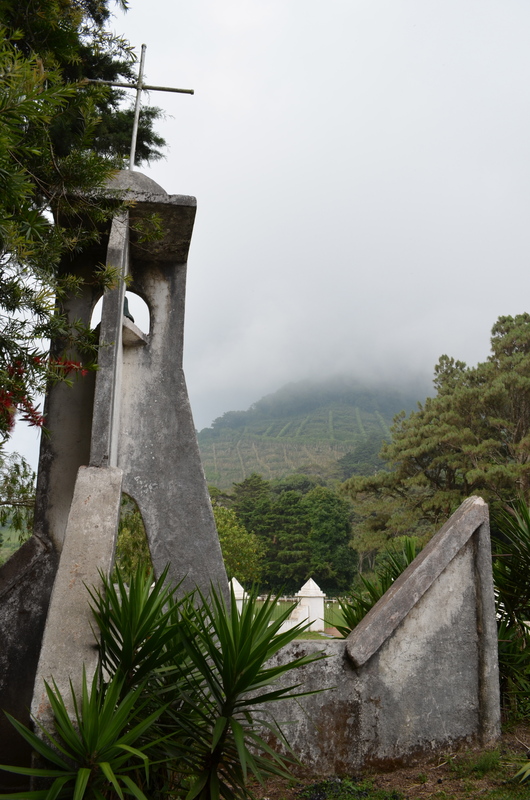 From the time we left Guatemala (our last blog update over a month ago! 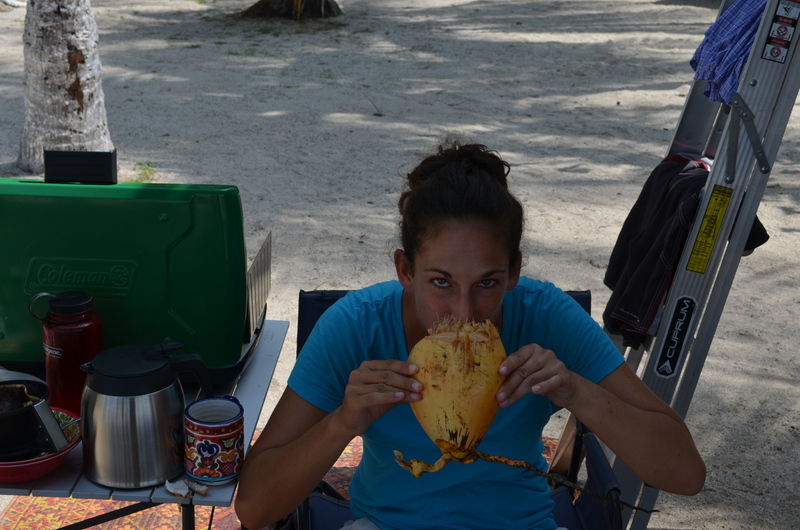 ), we crossed through El Salvador, Honduras, Nicaragua and landed in Costa Rica in less than 2 weeks. It was a big lesson in expectations, but also an open ended sentence. What were we hoping to find? What did we miss? We spent only 5 days in El Salvador, 4 hours rushing through Honduras, 5 days in Nicaragua, 3 weeks in Costa Rica and are having a hard time saying goodbye to Panama. Since I can’t write it all at once, out of the heap crawls one word that shows up along this trip and constantly in life –Expectations. Expectations bubble up and drift into our minds like dreams at night. It feels natural the way our minds form opinions and then jump forward to conclusions before we get the chance to actually have the experience. By the time we cross into El Salvador we have to fight this urge. We have to remind each other to just let the days happen. To embrace every thing that comes at us every day. Good and Bad. Sounds so basic it’s silly, right? By the time we get to Panama we are still reminding ourselves to do this silly basic thing. 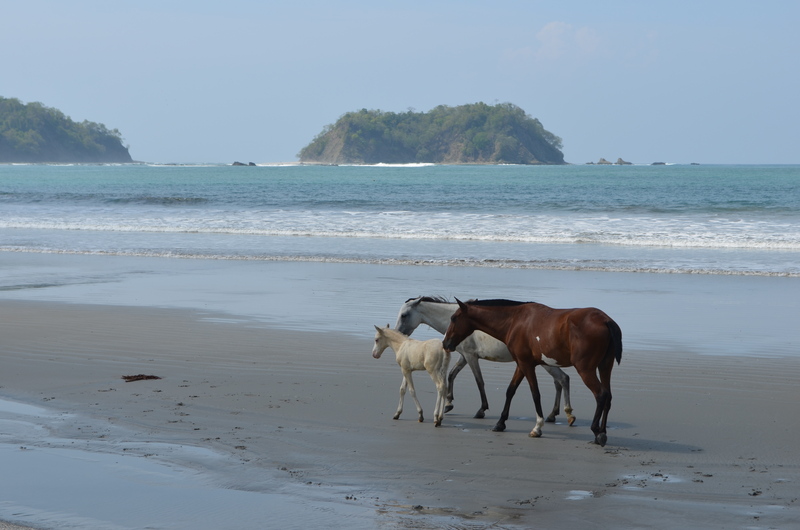 There was a spot in Costa Rica with a long wide beach, soft blue water, islands in the distance, wild horses appeared from the coastal forest. The only place to camp was just behind a crooked fence with trash piles that blocked the bathrooms and a toilet with rat poop on the tank. The owner lived between two cinder block walls with a tarp covering just the corner. Broken appliances, a shattered toilet and old plastic bottles, rotten coconuts and other pieces of junk shared the space around their furniture and the block walls. There was a strange line that divided paradise from a dump. We were able to slide a filter around our vision to enjoy the beach, the breeze, the water, and the only another couple who camped next to us (we would cross paths again a few weeks later). 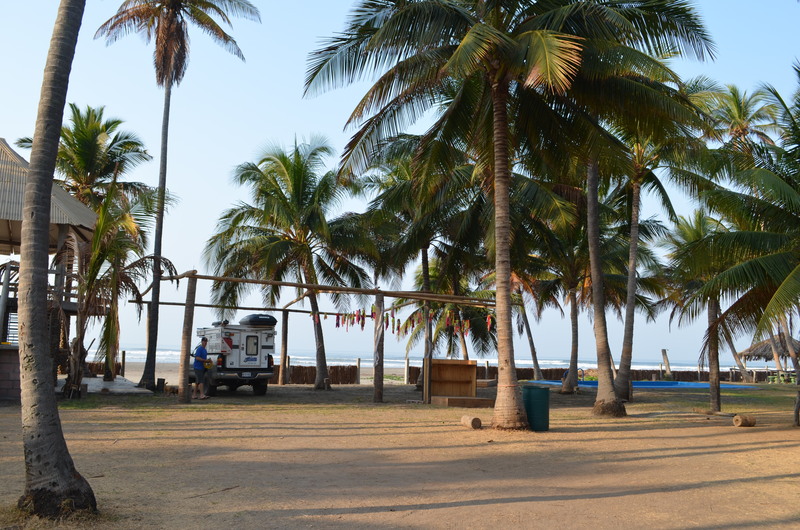 We set up camp right next to the fence with nothing but beach in front of us. A few days later I got an email update from a travel blog (AFAR) with a list of the top 50 places to camp in the world. The paradise dump was listed at #26…in the entire world. Beauty, we learn again, is different for everyone. 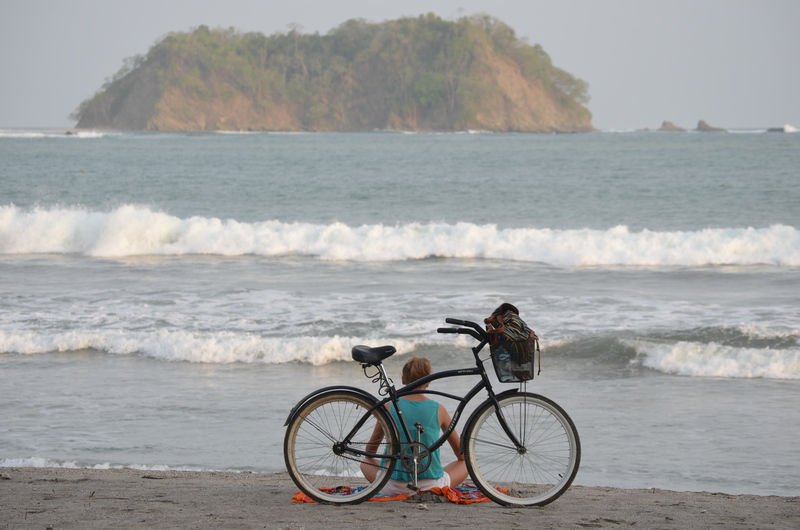 Our Expectation: We have this image in our head that Costa Rica is all about the environment, clean and green. We traveled all over this country and it was more beautiful, packed with more wildlife than we could have imagined. This beach was the only one that fell short. It was the trash and the drugs that left us shocked when we saw it was listed in the top 50 spots to camp in the world. We hear a lot of chatter about El Salvador and Honduras. From friends, from reviews and most importantly from our US State Department. We read the travel warning alerts and felt a sense of “should we be doing this” but then proceeded with our guard up and on high alert. Our opinions start to form before we even get to the border. We get safely past customs and begin to follow a curvy route through the western hills of El Salvador. Wiry shrubs line the street with dashes of colorful flowers draped over the brush. 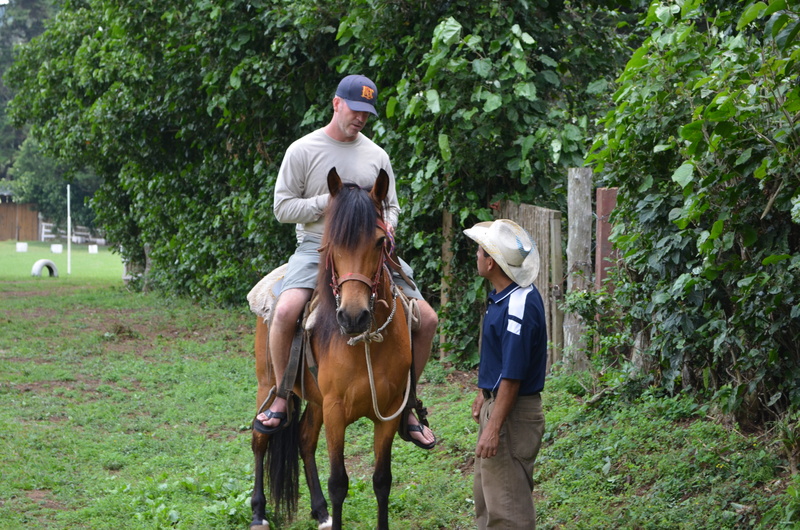 Soon we are on a tight dirt road that leads us around coffee plants, tall pine trees and higher into the hills. We stop at a gate guarded by two men who are both armed and inquire about our visit. According to a wonderful app, ioverlander, we can camp here. The guards open the gate and wave us in. The grounds are carefully landscaped. A wide open grassy area is the centerpiece with one short peak as the backdrop. Horses stomp around their stalls, there is a restaurant with a wide porch and tables set up on the opposite side and another flat area with tent platforms. The entire place is tucked in around a border of pine trees sweeping the sky and coffee plants in neat tight rows like a fence. This mountain air feels fresh and cool and we start to wonder where all the bad guys live. The owner comes over and points out a few places where we can camp. We are the only ones here. I decide to hang with Sprite and read while Colin joins the owner on a tour complete with an armed security guy who sits in the back of the truck. About 2 hours later I’m sprawled out in the camper and I hear Colin outside, “Hey, come check me out.” He’s sitting on a horse with a guy holding the rains. “This is Alfredo,” he says pointing to the man with a cowboy hat. I’m cracking up at this sight because I didn’t expect Colin to be sitting on a horse (wearing flip flops). As soon as he dismounts and the horse trots off with Alfredo, Colin sits down and fills me in on the grand tour. The owner shows him the main house, the ranch and his extensive collection of saddles. They talk a little about the town and the country. He tells Colin that it’s safe here. “Here” meaning this huge piece of property that wraps around us like a secure bubble. A bubble that requires the owner to have a personal armed security guard with him at all times. More armed guards to watch the front gate who take turns roaming the property during the day and we see their flashlights at night. There’s a part of us that wants to give this place a chance, we want to know El Salvador, but there is a bigger part that tugs for us to move on…and wins. We spend two more nights in two different beach towns. One is a mecca for surfers and feels again like a bubble. The other is a small quiet fishing village. We watch a group of boys practice soccer with the coach calling out drills. Two young girls walk along the line of debris brought up by the ocean’s tide. They sort through trash with sticks and one picks up a green plastic bottle while the other spears a dead blowfish, chucks it into the water and heads for home. The streets are silent, the night moves along with the sound of the ocean’s waves. We take the southern route to the border towards Honduras. Its rare to see a house with sturdy walls. 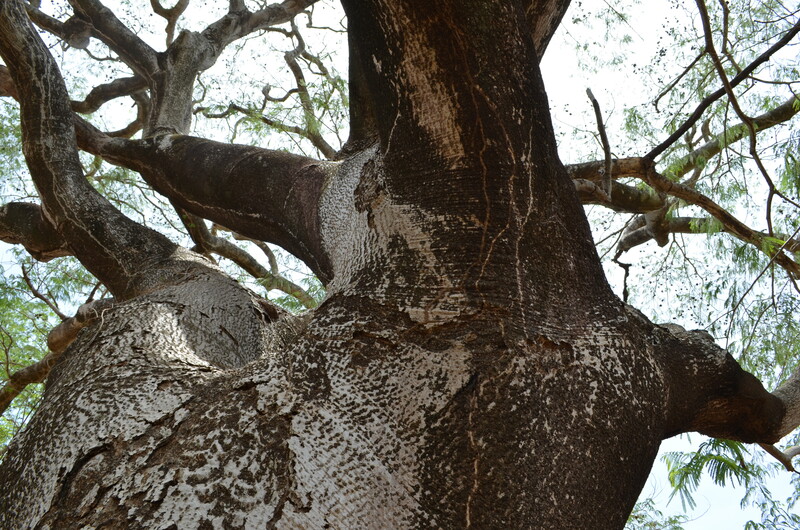 Most are built with corrugated steel nailed to branches. Some use cardboard. We feel as though we have missed something here, like reading the reviews of a book but never opening the cover. We don’t feel safe, but nothing bad has happened. Where is the line between giving a place a chance when in the background (even from locals) safety is an issue? Our Expectations: We hear about its beautiful beaches, but also the violence. We joke about how in Guatemala we could count the number of people who were rude to us on one hand. On that same hand in El Salvador, we could count the number of people who were friendly to us. We didn’t feel welcome, we didn’t love any one place. In the end, we drove out unharmed and nothing tugging at us to come back. We met a biker in Costa Rica who started in France and has been riding for over 2 years with the goal of making it to Argentina. When the topic of Nicaragua comes up he smiles. He’s in love with her. We tried to find the right words, skipped around the edges and hoped we didn’t offend him. Our last night in the country we slept next to broken down school buses, surrounded by trash, the air heavy and still, hot, sweating, mad. Earlier that day we arrived in Granada excited. 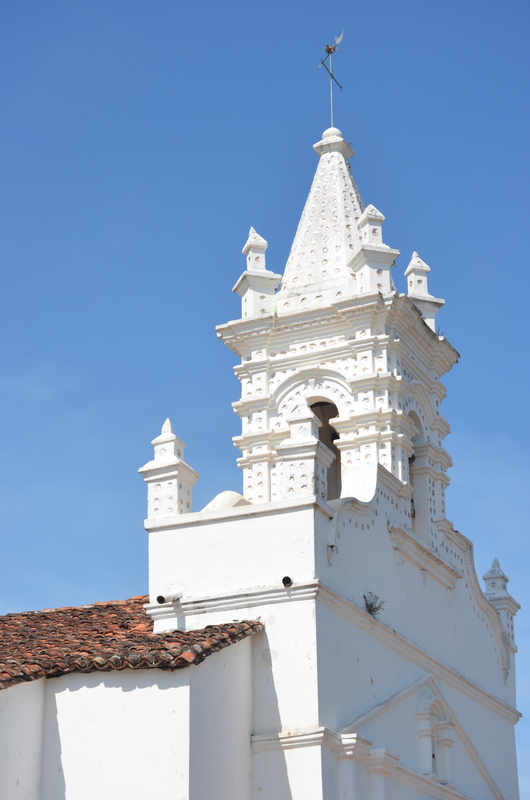 An old colonial town, bright buildings, high porches with terracotta tiles. The center full of vendors looking up at huge yellow church plopped in the middle. We read article after article that Granda was the next best place to visit. We were in the middle of the “it” town and couldn’t wait for the sun to come up so we could bolt. From conversations with locals to the guys at the firehouse – was the heat sucking the life out of everyone? Located in the middle of town, the Granada fire station was easy to miss. There was only one firetruck off to the side, one wheel missing, cracked windows. Their turnout gear was tossed around like they didn’t care. Colin tried to spark a conversation with the one guy hanging out front. It was like hearing a grown up try to speak with a shy child. For every one question he got a one word answer. Finally, when the topic of the broken fire truck came up, the nut cracked a little wider. They had one fire truck and did not know how to use it. The fireman asked Colin if maybe he knew. Colin felt sad for this guy, for this company and for the people in the city. He tells me about DC going through budget cuts. The fire department was left with equipment that needed repairs and gear that needed to be replaced. Nothing was new, but everything was treated like it personally mattered – they fixed what they could. Their pride was in their work. Firetrucks were washed, turnout gear stored properly or on the apparatus, boots upright and ready. What happened here? Just the day before we were staying at Rancho Los Alps outside Leon. The grounds felt like hill country in Texas. A gravel road with big leafy trees leading the way. It was peaceful and an easy place to spend a few days. The owners walked over to check on us each night, handed us maps of the property and encouraged us to hike, to explore, to ask questions. They were so excited to meet us and tell us about Nicaragua. 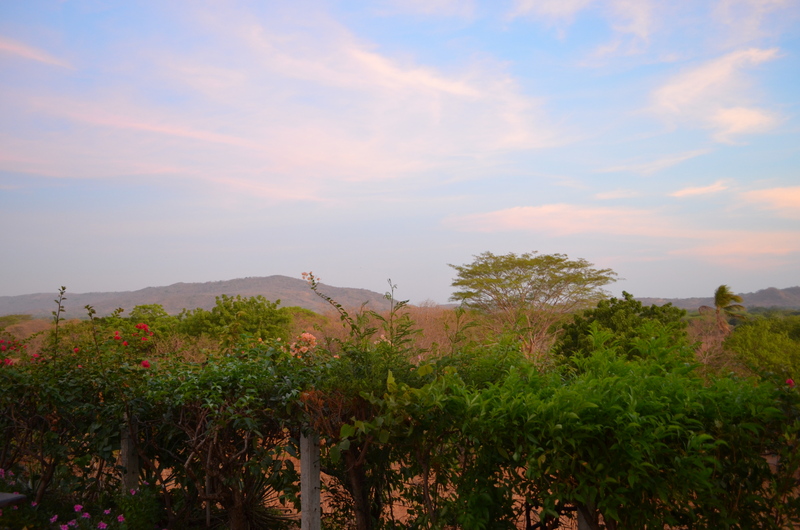 We sat on their porch and watched sunsets throw pink hues in the sky and enjoyed a cool breeze at night. We were surprised to only spend 5 nights in the entire country. Were our expectations so high that Nicaragua was destine to fail? Our Expectations: We heard that Nicaragua was the spot that Costa Rica was 30 years ago – wild, beautiful and largely untouched. What we saw were dirty beaches and cleared forest. We were pulled over by police and hassled more than in all the other countries combined. However, we only saw a very small portion of the country. We are hoping to give it another shot on the return trip. There is a peninsula in Panama that sticks out like an angel’s skirt. 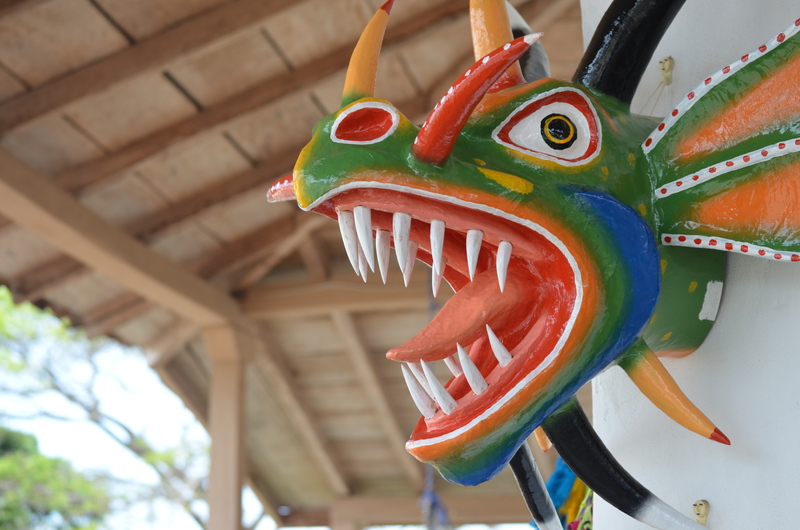 We save articles and jot notes about the towns to visit because this is the spot to find Panamanian artisans. We have to admit it – we love trinkets! The cheap wooden Mexican animals, the Guatemalan blanket that’s heavy and provides no real warmth but is full of colorful patches and reminds us of that place, the coffee mugs we purchased in Baja, the tiny Navajo rug (the only size we could afford). We don’t spend much on these little prizes but we love to learn about the local art and the artist. We arrive on the peninsula and start looking around. I have a list next to me with the names of the towns and what we can expect to find. Pollera dresses are made on the coast, masks are made in Parita and the hats, oh the hats are awesome. We turn off the main road and slow down towards Parita. A white church sits off to the side. Two guys stand on the sidewalk and chat. They wear straw hats with dark rings and the brim flipped up. Surrounding the square homes are painted in worn colors of yellow, blue and pink. Carved wooden transoms sit over wooden front doors. Terracotta tile porches make shade for folks swinging in hammocks and the dogs flopped on their side sleeping. A small tienda operates from one of the homes on the corner of the square. We don’t see the stalls of trinkets and move on to the next town on my list. The same scene, no stalls. Further down the coast we find Pedasi and meet an Italian couple who sell pizza and will rent us a room for the low season price of $40.00. We stay one night and return for another. They make us lobster pasta and we talk late into the night about their lives in Italy, their newborn baby (12 days old) and finding Pedasi. Pedasi has a little bit of everyone. A Chilean family who makes crepes. A woman from France who sells local art and knows the pieces like they were her own. We meet Bonnie in La Enea where they make Pollera dresses but we don’t see them anywhere. Originally from Iowa, she came here as a Peace Corps volunteer in the 60s and then moved back to make La Enea her home. 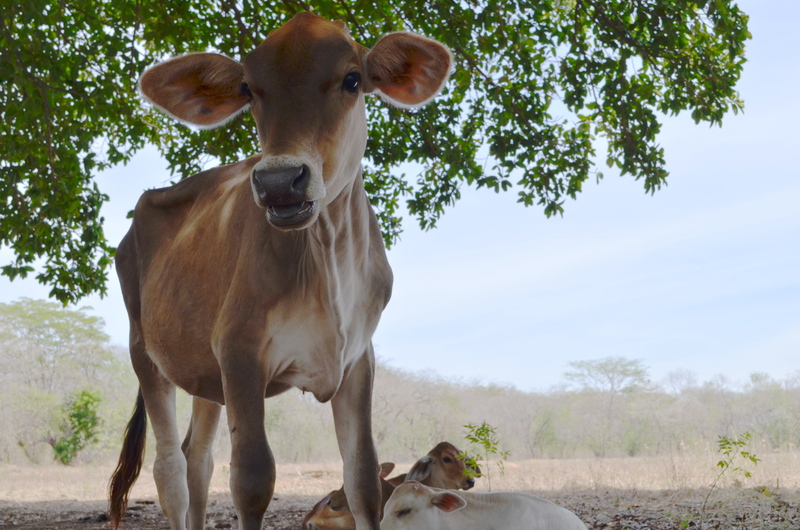 We sit on her porch overlooking the ocean and talk about the artisans and where are they? Bonnie laughs at this and says, “They’re all around.” We follow her to a friend’s house and park across the street. Around back a lady with dark short hair and brown eyes stands up when she hears Bonnie call her name. She has strings of yarn around her neck and a few pieces of fabric on her lap. She holds up one piece and smooths her hand over the embroidered red flowers that she’s working on and then runs into the house and comes back with more samples. A shirt she is working on for her son, puffy sleeves for another Pollera scheduled for a fall celebration. She makes a gesture that her eyes are getting old and now require glasses with so much work. The dresses take about a year to complete, require many hands and cost in the thousands. A green parrot sits on a wire along with sheets that are out to dry. Chickens peck at the dirt. An artist sits for hours stitching and embroidering a dress that continues to encourage their culture, their traditions. She doesn’t have a stall and she is not selling these things on the street. It was late in the day when we leave. My map now tossed off to the side, I don’t care about my list. Back on the main road that will take us off the peninsula towards CA 1, our windows are down and we drive in silence watching the flat dry land move past us. I notice a dull pink house set back off the road with a few hats hung on a line by close pins. I shout to Colin to turn around. 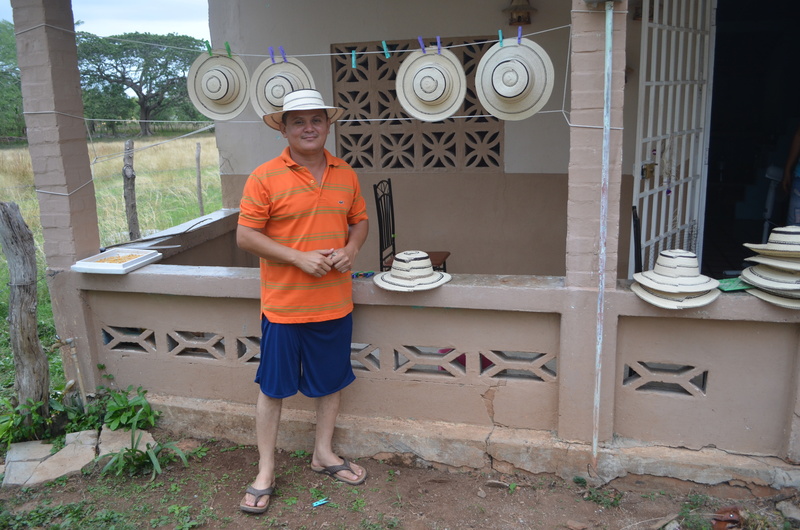 He has been looking for one of these Panamanian hats. All the guys where them (even the President) with the brim flipped up towards the front, to the side or up from the back. We find the family hanging out on the porch. The brother is tossing a string to play with a new puppy. 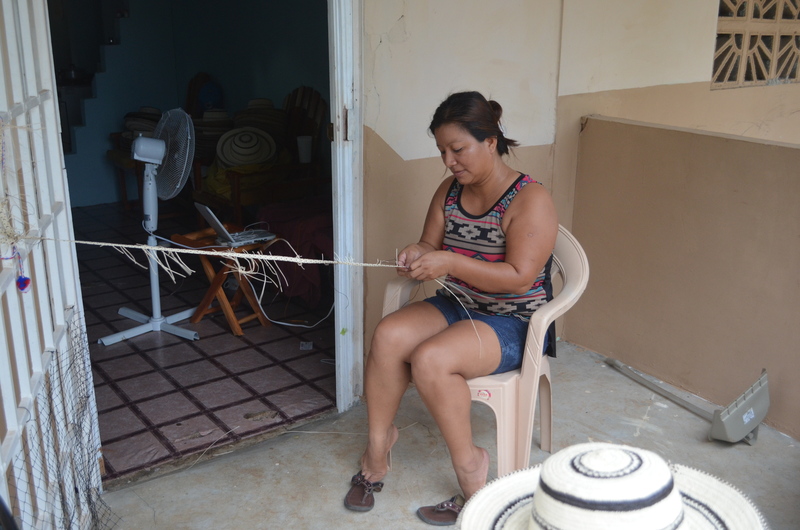 The sister is sitting on a chair working and twisting a long rope that will soon become a hat. Her husband comes out with a stack of more hats for Colin to try and talks about the process. They chat for a while about family and travel and where we are heading next. They give Colin a strong handshake and he walks away with a piece of Panamanian style. There was no sign on the house or near the driveway. They don’t need one. The hats, the dresses, their music. On the front porch, behind the house, sitting around family – this is their life. We were the ones that had to go looking for them. We had to put down our maps and open our eyes. We had to ask questions and look behind the stalls from the street. What we expect to find is not always what we end up looking for. Our Expectations: We planned for Panama to be a jumping off point to South America and never expected to spend much time here. We love Panama. Fascinating people, rich landscapes. Very friendly. More to come on this gem! It is part of our make-up to have opinions, to form ideas based on what we hear and what we see. Despite every instinct to follow, we decide to go and experience for ourselves. How else will you know? ← America – Home of the Brave? It’s funny, Gregor and I were just talking the other day about “expectations”. We’re only in Guatemala but I’m finding that the more I read and plan and fuss over the “top things to see”, the more stressful the traveling becomes. I totally see where you’re coming from! It’s hard because you don’t want to miss anything! I sometimes wish we would have done more research and other times I’m glad when we are just winging it and it works out. I bet the conversations in your van are very similar to ones in our truck!! I served with St.Clair. I can tell he’s in good hands. More important, Los.dos de.ustedes.se han.encontrado. One day I hope to find myself.